Last week I upset some devout Poles. I recalled in a platform discussion of pagan myth that it was occasionally tricky growing up in a household shared by what I insensitively referred to as my ordained dad’s ‘imaginary friend’ (the Anglican god). I think this may have sounded more offensive in Polish, since the grim faces belonged to members of the audience with headphones, listening to the simultaneous translation. 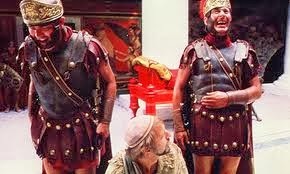 While I apologise to them (and to him) for any offence caused, the incident reminded me of the ancient sources of Monty Python's Life of Brian (1979). 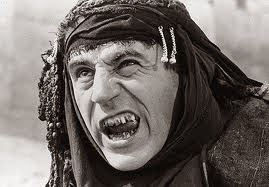 The Pythons got the detail that Brian’s father was not God but a Roman soldier from a fragment of the Egyptian-Greek pagan Celsus’ The True Word. But the idea of the charlatan who rather accidentally gets identified as the Messiah by a gullible public comes straight out of a satire by the Syrian Lucian, Death of Peregrinus. This tells the life story of a philosopher called Peregrinus Proteus from Asia Minor, who, says Lucian, had in his youth temporarily converted to Christianity. The local authorities arrest Peregrinus as a fraud, but his Christian flock still believe in him and camp outside the prison. They bring food, read out their ‘sacred writings’, and invite supporters from all over Asia, ‘sent by the Christians at their common expense’. The speaker in Lucian’s text presents Christians as unintelligent ascetics who volunteer for self-deprivation and even prison. They ludicrously believe they are immortal, that they are all brothers, and that material possessions are of no account. 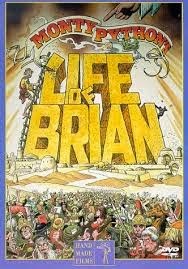 Life of Brian caused outrage when it was first released, and was refused screening in Ireland and Norway. It was not permitted to be publicly screened in Torbay, Devon until 2008. 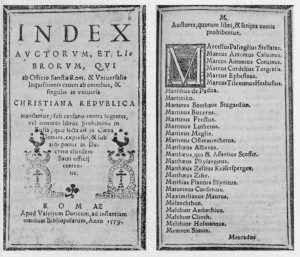 Lucian’s Peregrinus has faced a far longer history of proscription, being banned by Pope Paul IV’s Index Librorum Prohibitorum as early as 1559. But the text which really horrified early Christians, and which might have led to a far more biting Life of Brian, was too scandalous to survive to modernity. The neo-Platonist Porphyry had himself once been a Christian, and after abandoning the faith became its most brilliant critic. 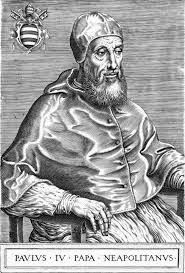 At the time of Diocletian’s persecutions (which the atheist ancient historian Geoffrey de Ste. 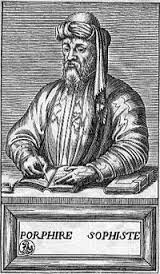 Croix once described as ‘too little, too late’), Porphyry wrote a treatise Against the Christians. Its exposure of what he perceived as their intellectual confusion was so deadly that it was later banned by the Christian emperors from Constantine onwards and has been almost totally lost. If a copy is ever rediscovered, I doubt if anyone in Hollywood would today dare purchase the film rights. According to "grim faces" of Polish members of the audience - I was one of those members, and don't worry, it wasn't an expression of being offended - it's just typical look of Polish face. Here in Poland, when You're walking down the street and smile - people may think, that Your mind went crazy ("Why are You smiling, You're in Poland!"). So don't worry. Grim faces? It's just how we look like. Thanks! This is very reassuring and nice of you to bother. I actually like Poland and want to smile when I am there, though.